The mobile applications market is not just about making an application and launching it on the respective app store. The growth in this industry has made mobile applications business more critical so as to make it more dynamic and revenue ensuring. Marketing indeed comes into the picture once the business starts to develop at any stage. Mobile app development companies in order to get fruitful results from their application in the market need to plan various things before as well as after the launch of the application. The strategic planning for app launch can give successful market penetration of the application. Some key points which have large impact on application are to be focused while planning a successful mobile app launch. Mobile application development business is governed by such small things which help in making a successful application. 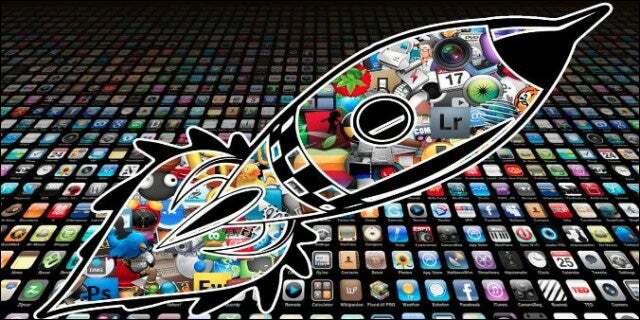 Here are some of the tips which are required to make a successful app launch in the market. Before launching the application, it is necessary to track the usage of the app and accordingly, one can plan the exact date of launch which is in synchronization with the usage. For e.g., if one is planning to launch a Christmas related application in the market, the dates around 25th December are perfectly suitable for it. Also it can be the case where application is not connected with any such date. So for such cases app optimization needs to be carried to reach out maximum number of people in the market. Thus the domain of the application plays important role in deciding the launch of it. The kick start to any project comes with successful kick-off of the launch. Because of this reason the launching event of the mobile application becomes important. To make a buzz around the app launch, it is necessary to host some of the app related events as well as make the application run smoothly on such environment. The perfect trigger comes by investing some time and money in the launching event of the mobile application to make it successful. This will create the necessary hype which will give trigger to the app. After several successful attempts, it will be possible to generate audiences who can give tremendous results to the launch. First of all before taking any decision regarding launching of the application, it is necessary to check the application and perfectly test it. In order to achieve this, specific resources are required to be aligned with it. This will create a road-map for launching the app and make a smoother run for your application. Marketing also comes into the picture along with various other things strategized for app making. Cross application promotions also plays important role in giving dynamic image to the mobile application. If these benchmarks are achieved in specified time form mobile apps developers it can give you a clear picture of where exactly your app will land in near future. Other than this, various other methodologies can be implemented at different levels of mobile app development before launching it on app store. Highlighting the app functionality to the customer before launching it will keep the enthusiasm of the application. There are some advertising agencies that keep keen interests in such app launching events and this can give attention to press releases and blogs as well. Social media is also best source that publish your launching events.